If jazz is about improvisation and collaboration, the folks up in Chicago have got it made. Trumpeter/composer James Davis has refined the art of jazz in his various incarnations: Pianofail trio with a tuba, Loris quartet’s electro-acoustic, unconventional trio Chicago Goes West, “electro-acoustic rock/jazz/improv group” Zing!, Maurice, Balkano — a sextet “that melds the soul of traditional Klezmer, the energy of Bulgarian wedding music and the melodies of Turkish Gypsy music into an exciting original mix,” and his current focus, Beveled, a new sextet with flugelhorns, bass clarinets, drums, bass, but no piano. With all the horns and reeds converging on the remnants of a bass-drum convention, you will never miss the piano. The open-air prospect allows the musicians to really free-form outside the lines, which Davis and McCullough do outrageously with nary a thought to conformity or obfuscation. Every note is placed within an inch of a nuance’s life, in a near-miss with the grounding bass clarinets. Davis rises above the fluttering and foraging sometimes in a straight brassy arc that’s as dignified as it is utterly transfixing. The tunes he tends to gravitate toward as a performer and composer follow languid lines upward, with very little augmentation required, other than the fellowship of the collective lending stark layers, leaving the core of each piece alone. Beveled is the equivalent of a modern jazz haiku, lovely, spare, and endlessly deep. The Beveled project was helped in part by an Individual Artist Program Grant from the City of Chicago’s Dept. of Cultural Affairs & Special Events and another grant from the Illinois Arts Council-National Endowment for the Arts. Davis has always pushed the envelope of what’s creative, throwing himself headlong into widely varied musical pursuits throughout Chicago’s available platforms, and with an exemplary list of established performers you may have heard before, and some you wished you had. A sample: Chuchito Valdés, Glenn Miller Orchestra, University of North Texas One O’Clock Lab Band, Tomorrow Music Orchestra, Jason Steele Ensemble, Camerata Winds, Matt Ulery (By A Little Light), Grazyna Auguscik, Julie Meckler, Bryant Scott’s Great Postmodern Nightmare Big Band, and Ian Torres Big Band. 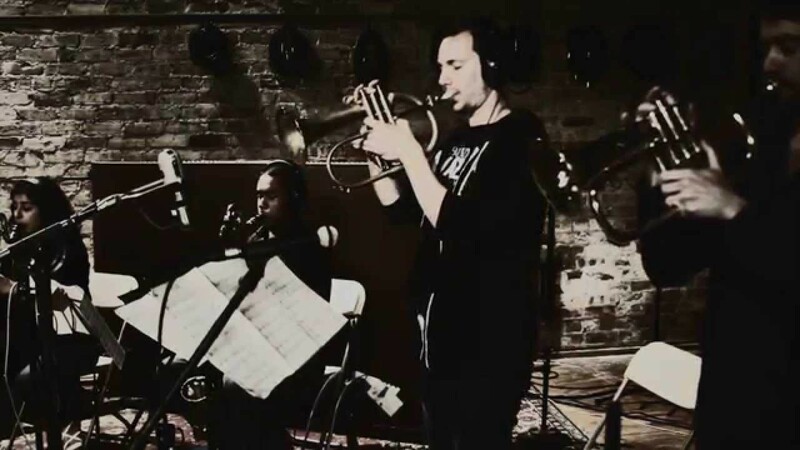 During his pursuits, Davis nearly won the 2004 International Trumpet Guild Jazz Improvisation Competition and the 2007 Carmine Caruso International Jazz Trumpet Competition. He’s been active in residencies at the Kennedy Center, in the Betty Carter Jazz Ahead Program-2008, and Seans Institute at the Ravinia Music Festival-2008, and appeared at the Montreal International Jazz Festival and Edmonton International Jazz Festival.